Well, okay, a mini one. But it did float! 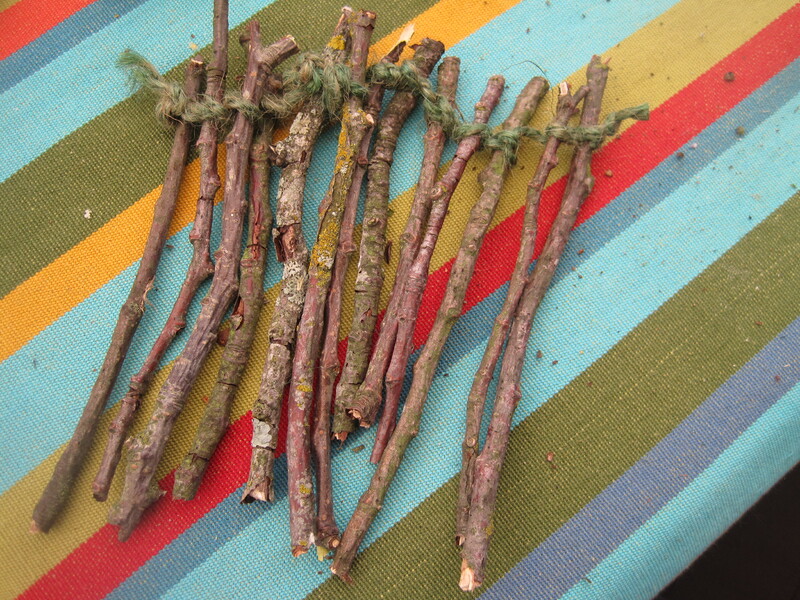 Step 1 : Measure and break sticks to an equal size, then tie together by weaving round each stick, and knotting at every third one. 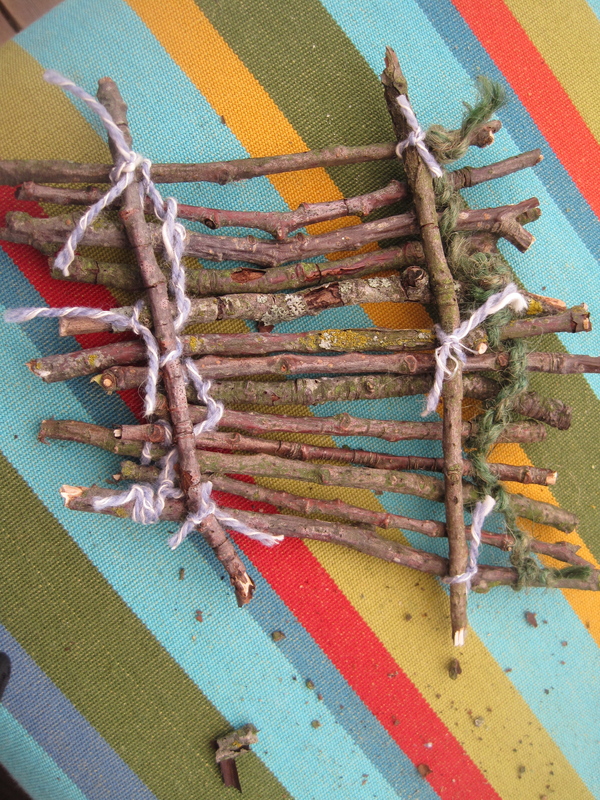 Step 3 : Tie two sticks going opposite ways across the raft for support - preferably secured in three areas. With a couple of passengers it floats! 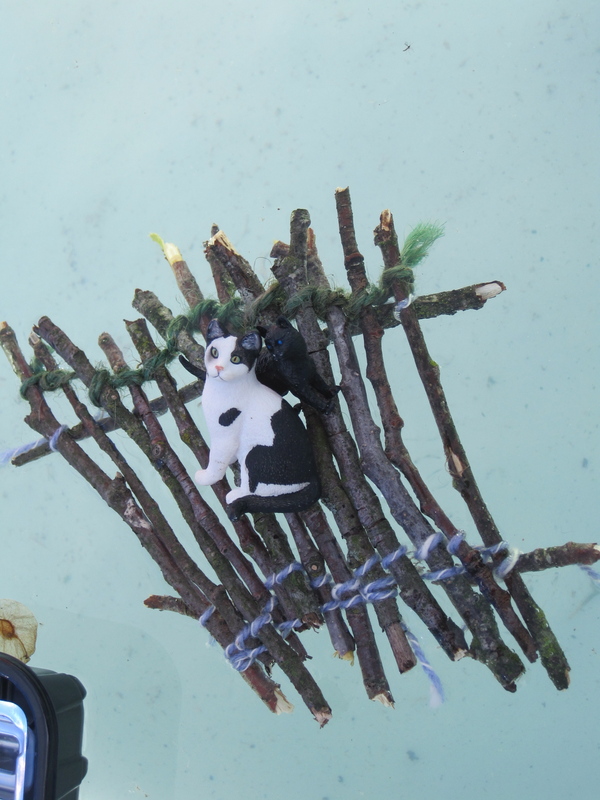 Maya then went on to make another boat from recycled junk – she even made a little gate from sticks and glued it on to stop the water from flowing in – then later placed the boat onto a platform to make it even more secure. 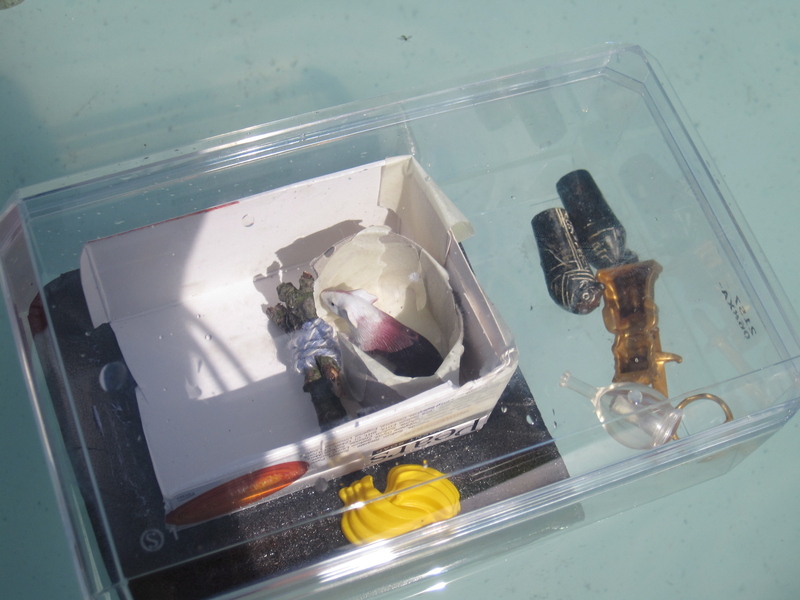 The boat also included pretend food and treasure! 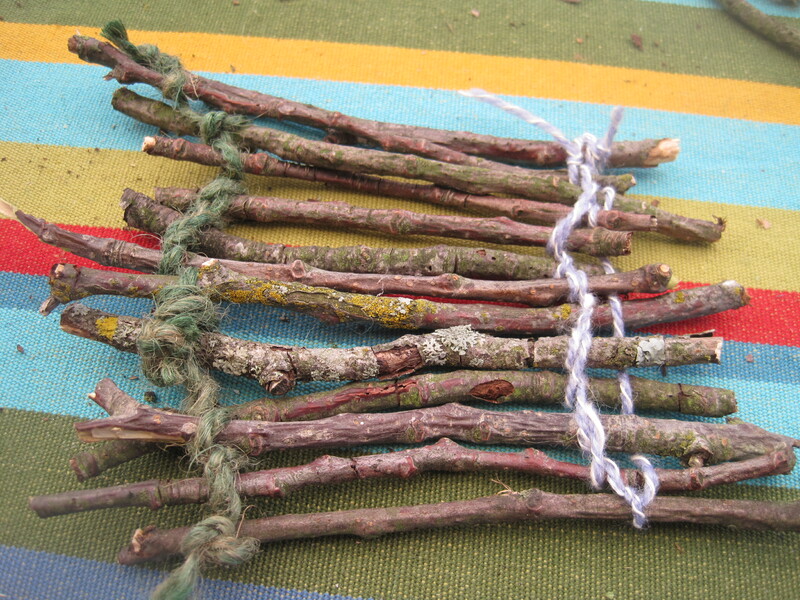 Eventually even Alfie obtained a boat, and the three boats went off happily sailing away – a whole adventure began, including orphaned children having to fend for themselves by picking anything edible they could find in the garden, and using various tools to mash up, sieve and liquidize the food. The boats got stuck in a tree, and the animals had to be rescued and sent out to sea, but eventually became great friends, discovered the joys of a trampoline, and settled for the night in a teepee.